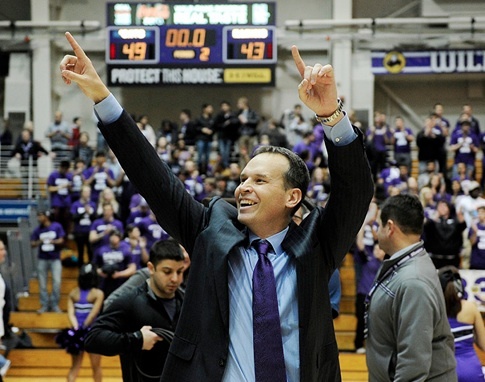 For Northwestern basketball to experience a surgence (I’d call it a resurgence, but with this program’s history that would be inexact) is surprising enough. For the turnaround to be, of all things, defensively-oriented is downright disorienting. Year in and year out fans of Big Ten hoops have long been able to count on two things: a really slow pace league-wide, and NU being drop-dead awful on D. In each of the last four seasons the Wildcats have finished last in the league in points allowed per possession in conference play. And even though on paper Northwestern’s still “just” No. 5 in the league on D, that number is highly deceiving. Chris Collins’ team started the conference season allowing a very Northwestern-like 1.26 points per possession over the first three games. Since that time, however, opponents have managed to score just 0.88 points per trip. Today was Indiana’s worst performance on offense (0.74 points per trip) in B1G play in almost 3 years (3/5/11, @ Illinois, 0.74). Wisconsin scored 0.82 points per trip vs. NU, worst figure in B1G play since 1/8/12 (0.75 @ Michigan). Tweets like these just keep happening to Wildcat opponents. It’s uncanny. Collins has attributed his team’s recent success to “our defense and our rebounding,” but even during this era of strange new competence the defensive rebounding has been normal. By the same token, opponents are still committing a very low number of turnovers, and getting to the line on occasion. It’s rare that a team’s improvement can be distilled neatly down to just one number, but the Wildcats’ transformation has an awful lot to do with this: 35.7. That’s the percentage of two-point shots that opponents have made over the last six games. The phenomenal improvement on defense has been driven by a phenomenal improvement in field-goal defense. Nik who? Alex Olah for Big Ten POY. Olah’s block rate this season is good but not great, and even during this current six-game reign of defensive terror the seven-foot sophomore has blocked a praiseworthy but by no means Withey-esque nine percent of opponents’ two-point attempts during his minutes. Still, this bold new rebranding of NU hoops (“Now with defense!”) has coincided with an uptick in the big guy’s minutes. Viewed as an individual player Olah’s not a sensational shot-blocker, but the great defense Northwestern has played has been aided and abetted by his presence. “To be sure” walk-back: Iowa remains unimpressed. Michigan State achieved normal results against this sassy new Northwestern defense (1.01 points per trip), and Iowa was downright productive (1.17). Everyone else that’s chanced across Collins over the last six games — Indiana, Illinois, Purdue and Wisconsin — has looked historically dreadful on offense. Perhaps at some point a Northwestern opponent will hit a three (instead of missing three out of every four like they’ve been doing) and this defense will look a bit more normal. Until then, let it be known that there’s a fair amount of overlap in personnel between this Wildcat team and the group that finished last in the Big Ten in defense in 2013. Collins won’t be shooting how-to videos on high-efficiency offense anytime soon, but to achieve this level of defense with the cards he was dealt is fairly amazing. Salute. This entry was posted in counting things, hoops on January 30, 2014 by johngasaway.